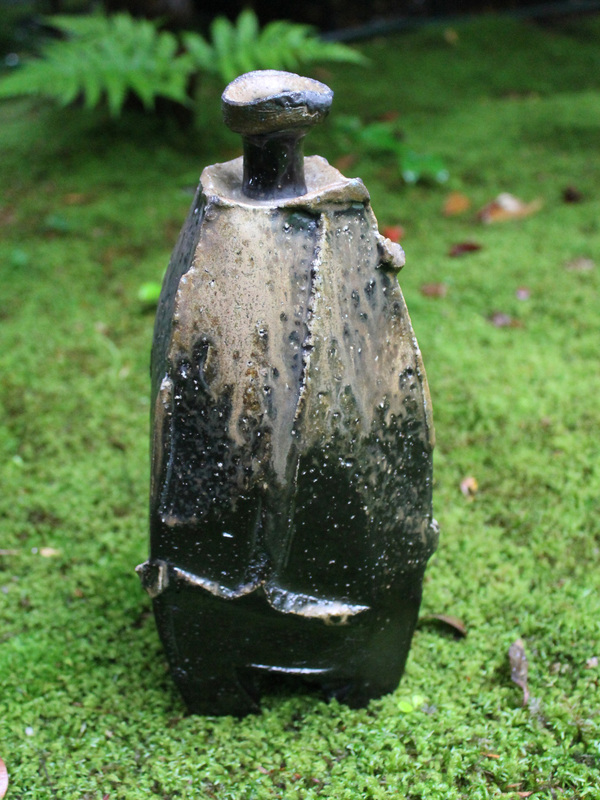 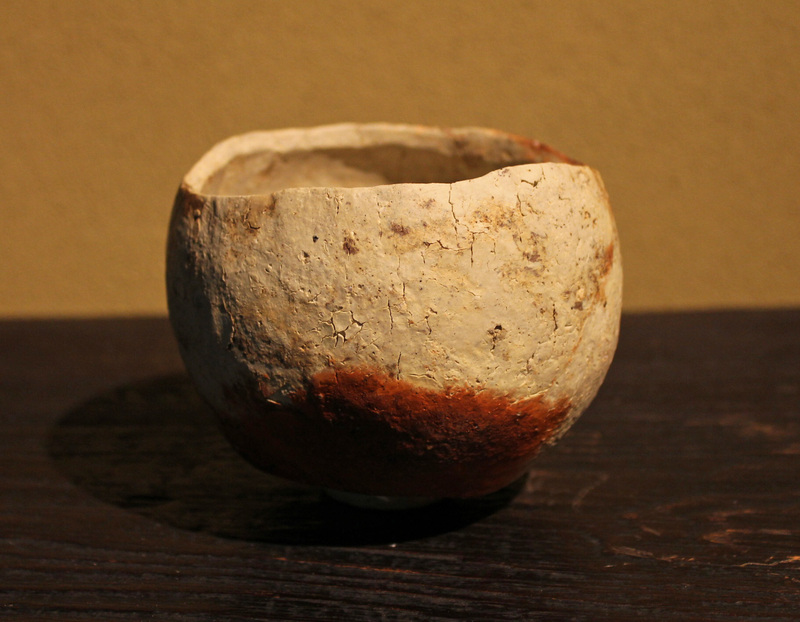 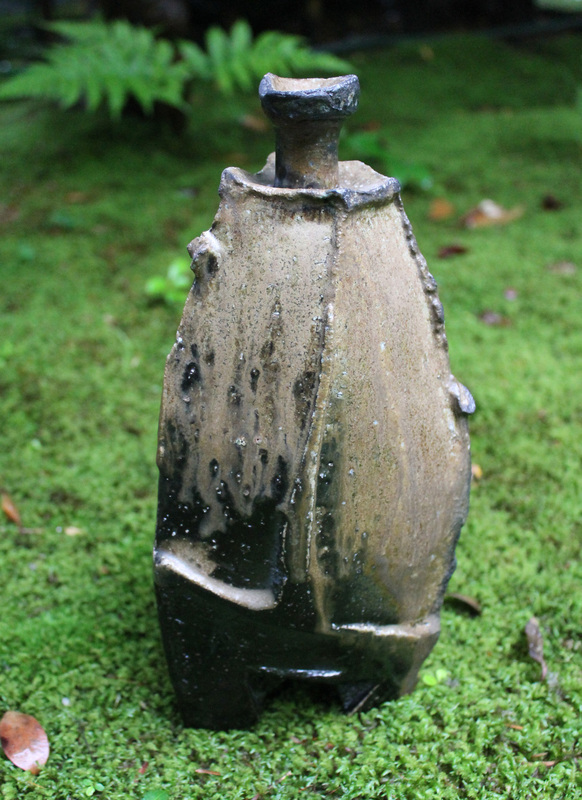 One of Japan’s most important ceramic artists is Bizen’s Kakurezaki Ryuichi–those of you who know know and if not then please visit our archives or e-yakimono.net. 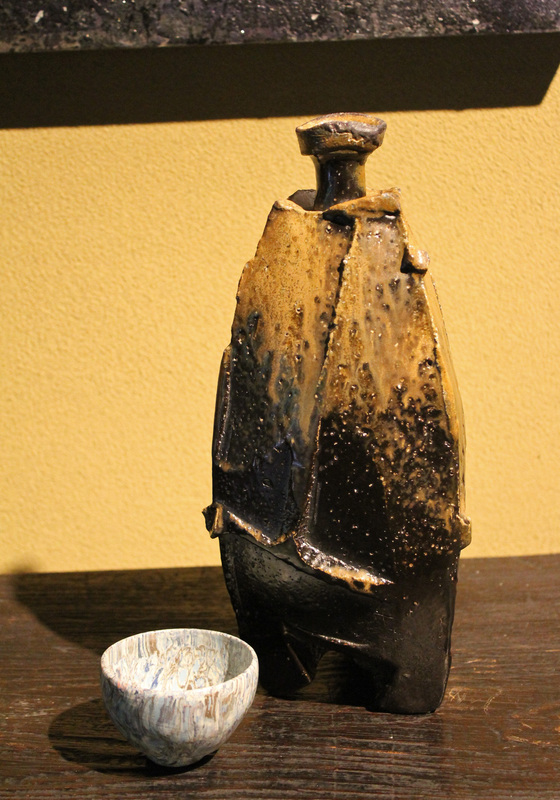 Here is a dark iron-slip coated–thus Black Bizen–tall vase-vessel that was fired in a prime spot in Kakurezaki’s kiln and thus the rich and thick covering of goma pine ash. 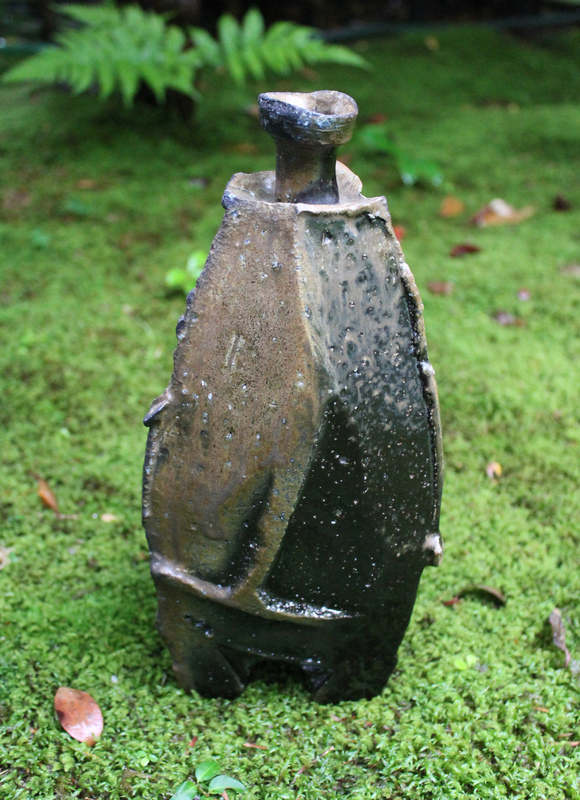 A museum work in perfect condition, 28.5cm.tall, signed box, signed on side. 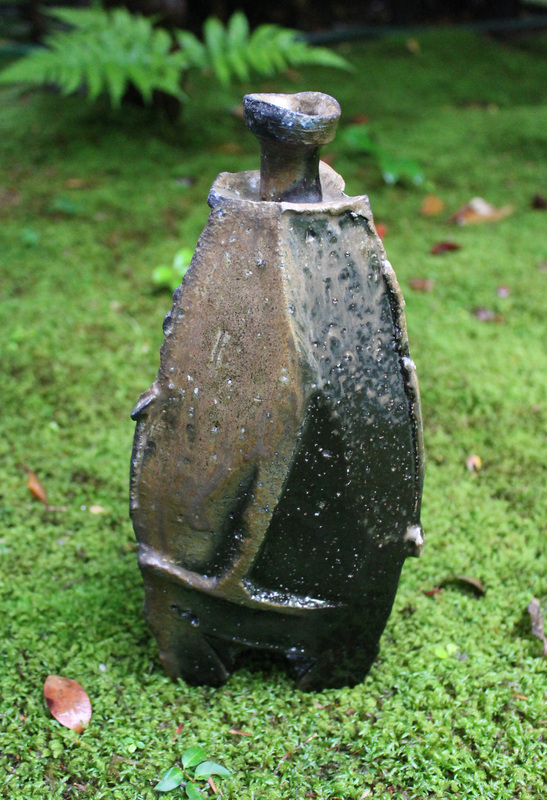 Other works details on request.